Administrative Withdrawal Notification: Should be used to notify students with consecutive absences that they have reached the number of absences requiring administrative withdrawal from the course(s). Administrative Withdrawal: Should be used after a student has been notified that their consecutive excessive absences require administrative withdrawal from the course. The instructor shall consider the student’s academic status and progress in determining the grade to be recorded. Students administratively withdrawn from a course(s) for unavoidable absences caused by extenuating circumstances as determined by the instructor will receive a grade of “AW,” administrative withdrawal for circumstances beyond a student’s control, which will not be included in the student’s grade point average. Students administratively withdrawn from a course(s) and failing at the time of withdrawal will receive a grade of “AF,” failure due to excessive absences, which will be included in the student’s grade point average. Incomplete Grades: In the event that a student meets the conditions to be administratively withdrawn for excessive absence but also meets the conditions of the Incomplete Grade policy, instructors may request approval to issue an incomplete grade in lieu of the withdrawal. The last date of attendance (LDA) is required for processing. ALL withdrawals must be processed prior to the Final Exam Period, as withdrawal requests will not be accepted during the grading period. the Administrative Withdrawal Notification has been issued and the instructor has verified that attendance records are accurate. Please be advised the University requires that all students receive Administrative Withdrawal Notifications before the Administrative Withdrawal is executed. Administrative Withdrawal Notifications are automatically generated given instructors set up notifications through MYHSSU at the beginning of each semester. Because the University affords students the right to appeal academic decisions, it is essential that instructors maintain accurate and consistent attendance records throughout the semester. Administrative withdrawals due to excessive absences should not be administered for students that have never attended a course. Students that have never attended a course(s) will be automatically withdrawn if they have been accurately reported as “never attending” when submitting attendance records online through MYHSSU. Students should carefully consider the consequences of administrative withdrawal for failure to attend classes on their academic standing, progress towards completion, financial standing, financial aid eligibility, and satisfactory academic progress. 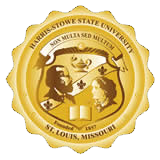 Please note: All excessive absences administrative withdrawals must be processed online through the MYHSSU Faculty Portal-Faculty Dashboard using the Excessive Absences Administrative Withdrawal Request. Administrative Withdrawals for excessive absences meeting the conditions to be withdrawn are valid and final. Students when erroneously administratively withdrawn from class for excessive absences, in that absences resulting in the withdrawal are inaccurate or may be excused, may appeal the withdrawal with the instructor. The instructor may request reinstatement by using the Administrative Withdrawal Reinstatement form available through the Faculty Dashboard tab of MYHSSU and selecting the Excessive Absences option. The instructor is required to provide an explanation and the dates attended. All Administrative Withdrawal Reinstatement forms for excessive absences require approval from the Vice President for Academic Affairs or his/her designee. Instructors are required to update attendance reports to complete the reinstatement.